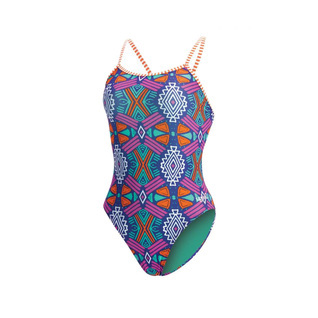 Train like a professional with the all new Dolfin Uglies MAYA String Back Female. Designed with thin straps and an open back this practice swimsuit grants you great range of motion and freedom for all strokes. With a polyester construction this suit is guaranteed to last hours upon hours of rigorous training.